I haven't found Bitser around and it looks like a decent 7z based archive manager in active development, so it's time it got a post. DotNET requirement is v4 and, sadly, Bitser isn't natively portable -- there's only an installer executable for download and after iterating through (Uni)extraction and Lessmsi, I found out it wanted to save its settings to '%APPDATA%' -- and that's as far as I went. 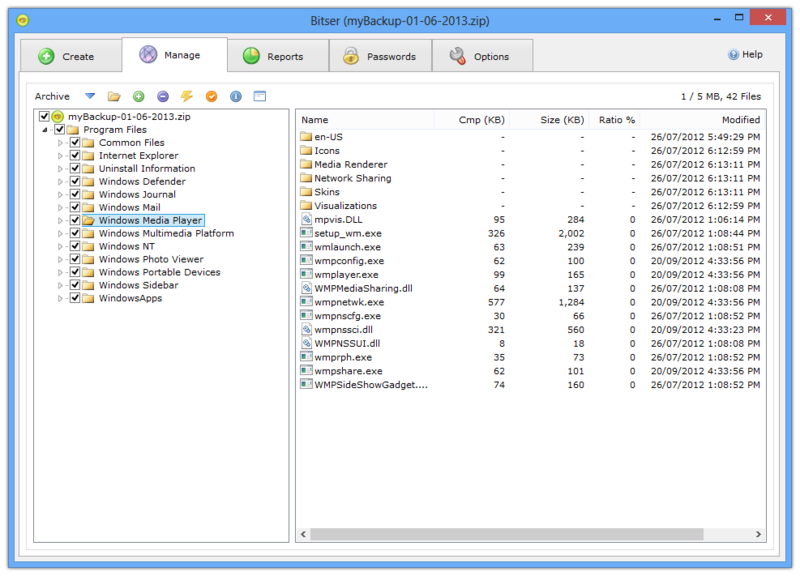 Bitser latest release (currently v1.5.0) can be downloaded from https://www.bitser.org/download_zip.shtml. Nice program. I definitely like the password manager, I think that's a great idea. I know the thing computes hash values, but does it SAVE the hash value for the file somewhere as part of the compression process? I couldn't figure that out. License appears to be freeware.